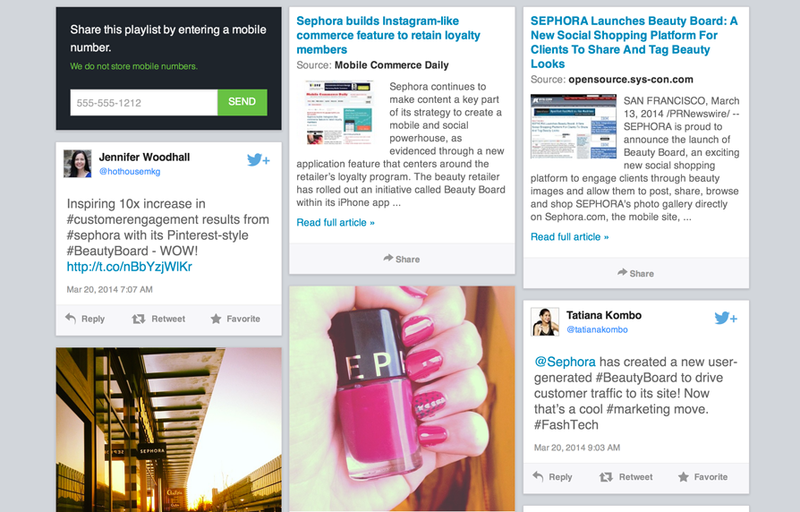 A few weeks ago, Sephora launched their Beauty Board experience on their website, Sephora.com, built leveraging Thismoment’s platform. It’s a bold move by a bold and innovative company, who is early to the realization that user generated content (UGC) has value beyond the casual entertainment of looking at selfies for the sheer shock value. Other companies, many of whom are our customers, are leveraging UGC in strategic ways as well. Levi’s asked brand loyalists to send in their visual interpretations of the 501 Jean, to change perception with millennials. Intuit used it to solicit entries to their Small Business Big Game contest. Frito Lay used it to inspire new flavors of chips in their Do Us a Flavor. But, Sephora is really taking it a step further by seeing the promise of UGC as a means to directly drive product sales. And, the way they’ve approached this opportunity is catching the imagination and intrigue of just about every media outlet on the planet. Why? Because, if it works, it could be a re-defining point for the $1+ Trillion eCommerce market. You might be thinking…is this “social shopping” trend just that – a trend? Well, a few years ago, there was an enormous amount of hype around “social commerce”, mostly led by Facebook, that supposedly held great promise for retailers looking to leverage the open graph (and the virality benefits that come along with it). But, it never really panned out as was expected. It was an empty and mostly unproven effort by Facebook and a select number of early-adopting e commerce companies to: a) build native applications on top of the Facebook platform; and b) integrate Facebook Connect user authentication on their websites. It turned out to be more a novelty than a real business opportunity. Using Facebook Connect as a device to build a connection with consumers became more of a roadblock than a way to build a relationship with consumers. The promise was that once a consumer authenticated on the site, they could get friend recommendations, get discounts on their birthday and generally receive more personalized service and merchandising. However, rather than enabling a true “social commerce” experience, retailers never fully leveraged the power of the open graph, and wide adoption wasn’t achieved. Lastly, after the Zynga fallout with Facebook, retailers came to terms with the fact that building on the Facebook platform came with a price. That price is both in the dollars paid to Facebook to “buy” real estate on their platform (30% of topline revenue! ), as well as the data ownership that the retailer would have had to share with Facebook. Fast forward to today. Facebook is still a critical part of the overall “social” mix, but it’s just one ingredient in a matrix of content sources, including Twitter, Vine, Pinterest, Instagram, YouTube, news feeds, among an infinite number of other content-rich platforms. The market has clearly changed. “Social” isn’t just a place for brands to publish their content to and build on top of. It’s now a place to source authentic user generated content, in an effort to create more engaging experiences. And, in the case of Sephora, it’s a way of turning that engagement into bottom line results for the business. So, will other retailers jump on the bandwagon? Well, if the pundits are right that Sephora has built their own Instagram and is beating Pinterest at their own game, then I think it stands to reason that this more recent “social shopping” movement is a more real and lucrative approach to leveraging “social” content. And, that could mean big things for other retailers who follow suit. Contributor Bio: Dan Kimball, Thismoment CMO, oversees global marketing strategy, brand and growth. With 15+ years experience at high-growth startups, he has held leadership positions in digital, mobile, social, and data/BI, with a focus on both product vision and go-to-market strategies. Has an aversion to Mexican prison and late night fish taco carts.